Simple Nutritional Principles for Good Health! REALLY WHAT IS GOOD HEALTH? But really, what does this mean? Quiet simply it means the food we consume has the ability to nourish us, keep us healthy, and aid in the treatment and prevention of diseases and their symptoms. When we eat wholefoods from nature we are providing our bodies with the balance of macronutrients, micronutrients and phytonutrients it needs to work in its optimal state. Health after all is just this, the optimal functioning of the whole person: mind & body! Let’s look at some simple nutritional principles, to aid us in reaching optimal functioning and good health! Eat lots of fresh veggies every day – about 40% of your diet! Eat lots of leafy greens – they contain lots of the essential vitamins and minerals our bodies detoxification pathways use, to help rid our bodies of toxins! About 10% of your diet should include whole grain carbohydrates – brown rice, quinoa, spelt, rye, oats and whole wheat all fall into this category. Include 1-2 serves of fruit a day – they contain wonderful vitamins, minerals, fibre & antioxidants, but also fructose (“fruit sugar”) so enjoying, but not overindulging is the key! Treats are ok – never feel guilty or restricted but do keep them to around 5% of the diet! And aim for treats that are made with wholefoods and are refined sugar/flour free! Chew your food properly at every meal to aid digestion. Spend time cooking – its not only therapeutic, but you’ll know what is going into your food, so you can take control of your health! Drink lots of water! Dependent our our life stage our bodies are around 55 – 80% water! Don’t be afraid of FATS – healthy fats that is! These include olive oil, avocado, coconut milk/cream, omega 3 fats like fish oil & flaxseed oil (about 12% of your diet). Don’t eat on the run – practice mindful eating: take time to savor, enjoy and be present at your meal – it’s good for mind and body! Stop eating take-away – its often full of hidden sugars, bad fats & is nutritionally poor in comparison to cooking your own meals. Steer clear of highly processed/packaged foods – refined carbs (simple sugars) lurk in these, along with bad fats, preservatives, fillers and toxins. These foods cause inflammation in the body and can contribute to risk factors for disease. TIP: shop on the outer perimeter of the supermarket, this is where the wholefoods live! Limit nutrient devoid treats (eg. potato chips & biscuit packets) – by making each mouthful nutrient dense you can increase energy levels, immunity & general health! Don’t let the packaging of products fool you – their claims can often be misleading and confusing – read both the nutritional panel and ingredients list to ensure foods are as healthy as they claim! TIP: If it reads like a chemistry lab – it probably was made in one! 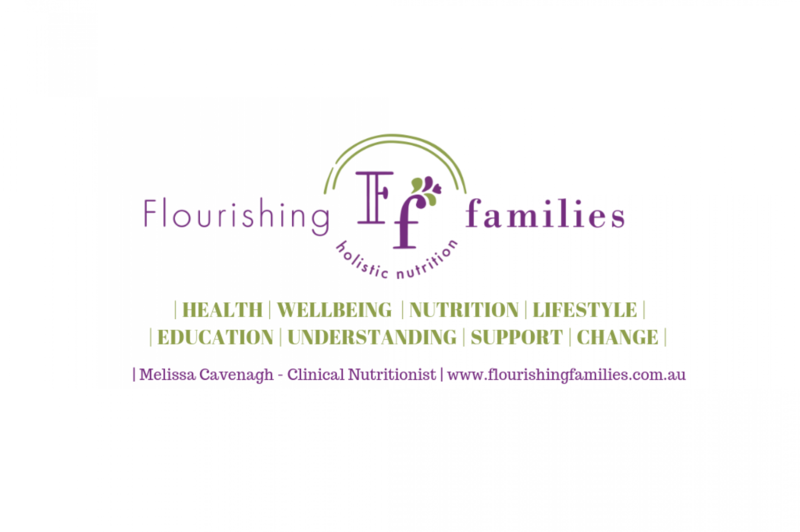 If your feeling overwhelmed by the confusing health messages thrown at us everyday and would like to learn more about EATING for OPTIMAL HEALTH. CONTACT ME, I would love to help you on your WELLNESS JOURNEY and help you FLOURISH in GOOD HEALTH.